In Bad Reichenhall water is ever present: the Saalach River flows through the Alpine Town, at the RupertusTherme you can float in health-giving brine and nearby Lake Thumsee is one of the favorite swimming holes of the Berchtesgadener Land. 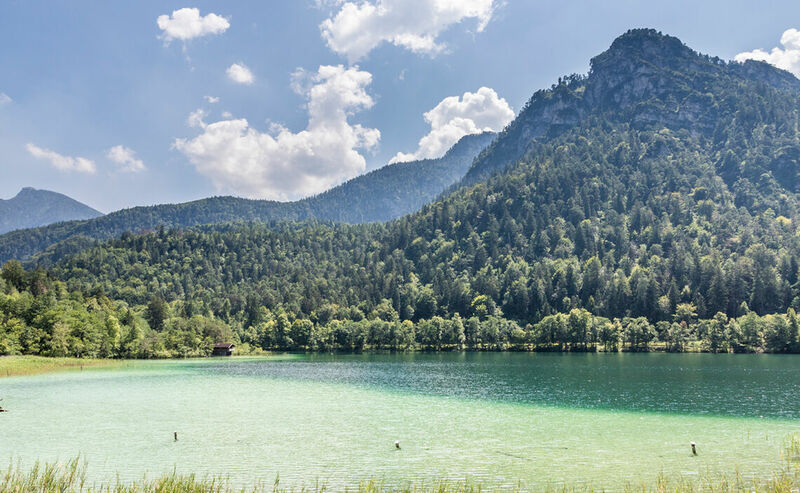 Lake Thumsee is located in the protected region of the same name to the east of the Alpine Town of Bad Reichenhall. The body of water is about 1 km long, 400 m wide and reaches 21 m in depth. 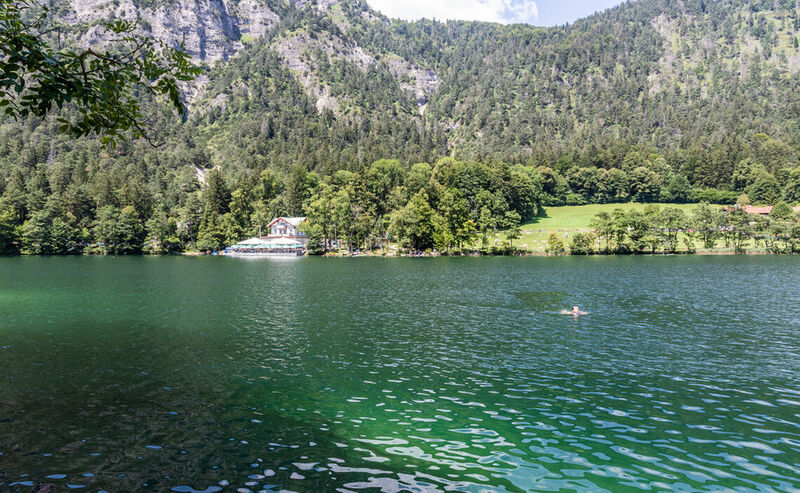 This crystal clear mountain lake reaches pleasant temperatures in summer and is one of Bavaria’s favorite swimming spots. 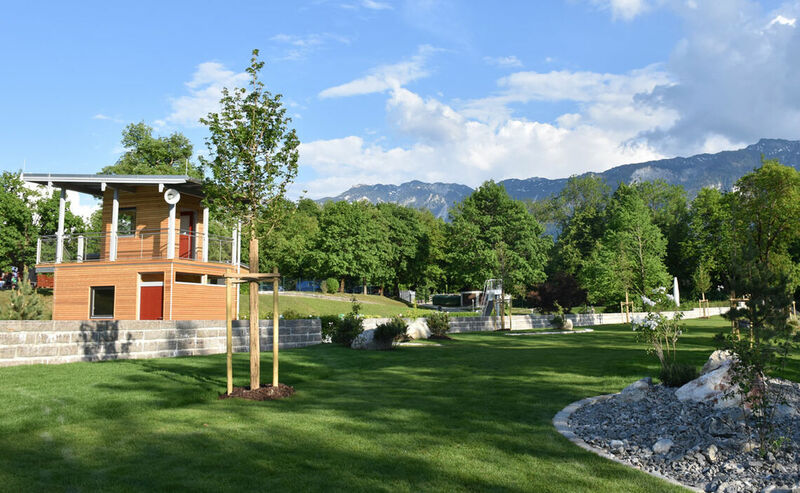 Marzoll’s open air swimming pool called Bachei is located in an idyllic alpine setting. The first pool was built here as early as 1966. Today Marzoll’s outdoor pool proudly offers a large surface of 1,940 m² with various attractions and a lawn dotted with shade-giving trees. Apart from its 50-meter-long lap pool with 6 lanes it is connected by a water channel to a diving pool with 1-m and 3-m-high diving boards. There is also a non-swimmer pool with a slide and an island as well as a play pool of 92 m² with a kiddie slide and a play area for very young visitors. A small playground and a lawn complete these family themed facilities. 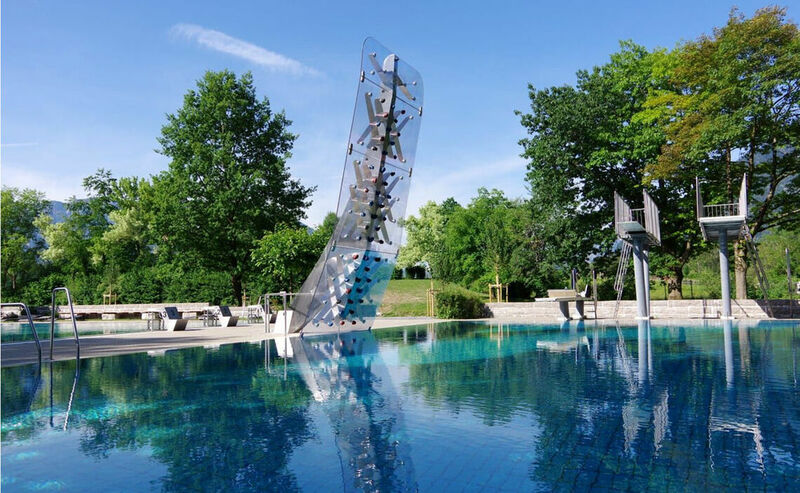 The most recent attraction is a 6-meter-high water climbing wall at the diving pool, as well as the play area in the Schwarzbach stream and a beach volley ball field court. 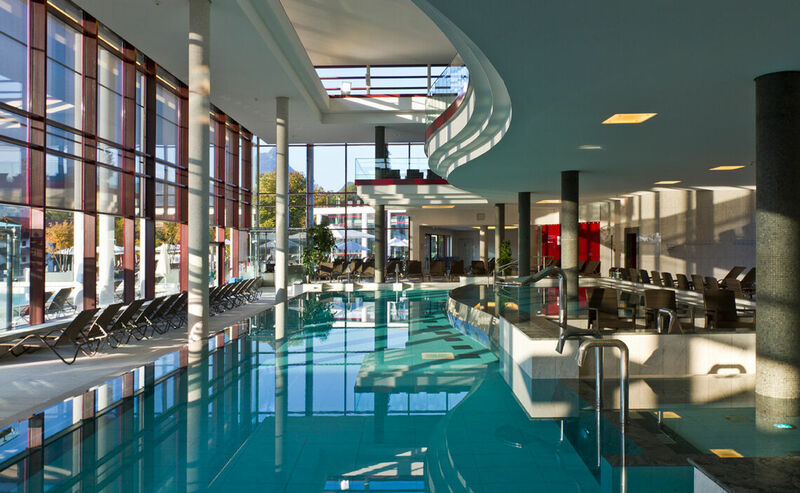 Spa & Family Resort RupertusTherme Bad Reichenhall is both an animated and a peaceful place at the same time. 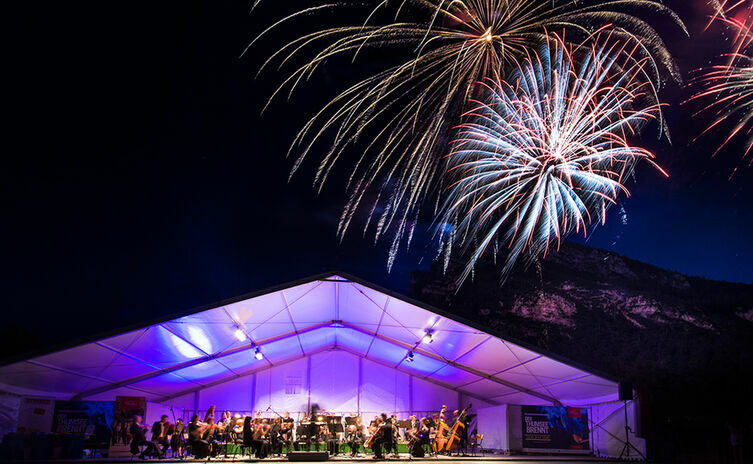 Here you can enjoy the beneficial effects of warm Bad Reichenhall AlpenSole brine gifted to us by an ancient sea, as well as a unique ambiance that remains in harmony with nature. Its many highlights include a sound and color light pool, a whirlpool in the gallery, an 850 m² sauna area and a health & fitness center. The RupertusTherme offers a great deal more as well – here you can let yourself be indulged, enchanted and inspired.